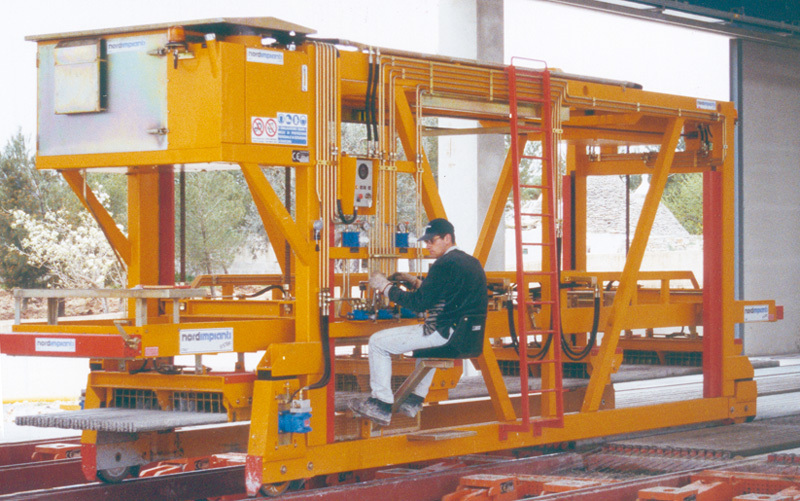 This machine is used to lift and carry the cut elements from the production bed to the exterior of the factory, from where a forklift or overhead crane will take them to the stocking area. The lifting machine can be equipped with different clamps depending on the element to be lifted. When lifting short elements the machine can be fitted with more clamps in order to efficiently transport as many elements at the same time as possible.